You can be sure to find the cheapest tickets when you make Nanak Flights your partner for booking online. With our special features, great rates and unique business model we pass savings and convenience on to you. Check millions of flights to all major destinations with the click of a button and rest assured you're saving money when you book. How is Nanak Flights different? Nanak Flights has some key features that we've designed to help you get more from your online bookings while saving money, starting with our special Price Drop Guarantee: If the cost of your air ticket drops after you purchase it from us, Nanak Flights will give you up to a $100 credit to spend on the next flight you book with us. 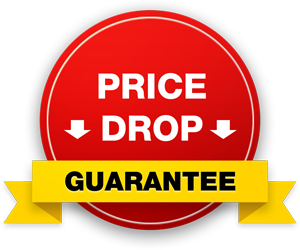 Airline ticket prices can fluctuate daily and with our guarantee you don't have to worry if you find out the price has dropped later. No more wishing you had waited until the last minute to purchase. We think that's handy! More than that, you get a $5 gas card for every ticket you buy from us. Redeemable at your choice of major gas stations in Canada, this gas card makes the difference by saving you money at the pump. Each ticket you purchase earns you an additional $5 on the card, so if you purchase 5 tickets you'll receive a $25 gas card! Watch the savings add up. As always, we are fully Canadian owned and guarantee you safe online shopping with SSL security. We have excellent customer service and can help you by phone as well.